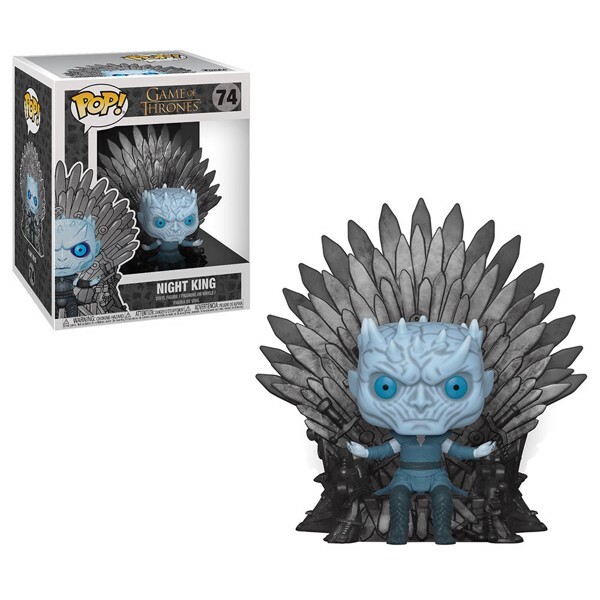 Stabbed in the heart with dragonglass by one of the Children of the Forest, the Night King was the first of the White Walkers from beyond the wall, having existed since the age of the first men. He also serves as the supreme leader of the army of the Dead. While wars wage between the families of the south, the White Walkers have been slowly and steadily growing their army. But will they take the growing threat of these mythical beings seriously, before it is too late? This deluxe Pop! 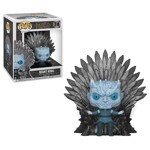 features the Night King, sitting upon the Iron Throne. Add him to your collection today!